Use the Online Scholarships and Bursaries tool to find the right scholarship or bursary for you. The Baccalaureate in Health Sciences is designed to provide cutting-edge training that prepares students for the important professional role they will play in maintaining the health and well-being of individuals over a whole lifetime. On the strength of their outstanding theoretical and clinical knowledge, these students are also destined to become leaders and decision-makers in their field. Thanks to its innovative approach, its interdisciplinary setting and the research prowess of its professors, the nutrition sciences program aims to train professionals who will not only make a powerful contribution to the body of knowledge in nutrition sciences, but also stress the critical impact nutrition has on the health of individuals and entire populations. Our mission is to provide French-language training to bilingual students to enable them to meet the requirements of the Canadian professional dietitian accreditation exam. To achieve this, we seek to provide students with relevant practical training in stimulating settings and to ensure that they have access to cutting-edge knowledge in the field of nutrition sciences. We also wish to improve the practice of the profession through the scholarly work conducted by our faculty. We strive to encourage interdisciplinary collaborations, so as to broaden the health care knowledge base. Finally, we are committed to actively promoting health and nutrition sciences, through learning, research and professional practice partnerships, both in Canada and abroad. Food and nutrition are important elements of life and essential for maintaining the health of individuals and populations. Food and nutrition science is one of the 10 fastest growing areas of health, with an impressive growth rate of 21% projected by 2022 in North America. The Honours Bachelor of Food and Nutrition Sciences is offered in French and provides practical training to bilingual students in French and English environments. Upon graduation, you will have a solid understanding of the science that underlies the way that food is prepared, preserved, chosen and metabolized, as well as nutritional value of food and its effect on the prevention and management of diseases. The Food Sciences Option focuses on the chemistry, microbiology, and physical properties of food, preparing graduates for careers in the agri-food sector like: small, medium and large agri-food industries, entrepreneurship, food science research and governmental departments dealing with agriculture, agri-food and health as well as other avenues. As this is the only food science education program offered within a faculty of health sciences in Canada, this option places greater emphasis on the health impact of food. The Nutrition Sciences Option focuses on the acquisition of knowledge and skills required to become a dietitian. 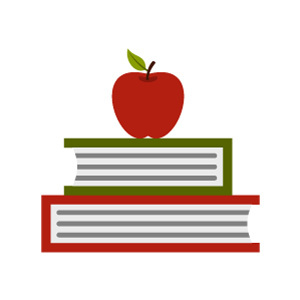 This dietetic education program is an accredited program recognized by the Partnership for Dietetic Education and Practice (PDEP) and prepares students for eligibility for registration with a provincial dietetics regulatory body. Upon receiving their degree, graduates are eligible to write the examination for admission to the profession of dietitian in Canada. The two new options offered will include many opportunities to participate in experiential learning opportunities. The school also offers several optional courses, including Nutrition, Behaviour and Mental Health and Diet, Microbiota and Intestinal Health. Our Internship opportunities are directly related to community and clinical settings and the agri-food industry. Starting this year, the Honours Bachelor of Food and Nutritional Sciences offers a food science option that allows graduates to become food scientists. Offered in a stimulating learning environment, this unique program addresses the evolving food and nutrition challenges facing individuals, the food industry and society. It is taught by dynamic professors actively engaged in food and nutrition research. Before submitting an application, you must meet or intend to meet all of the admission requirements, namely, have a secondary school diploma (or the equivalent if you’ve studied outside Canada), attain the minimum average, meet the language requirements and take all the prerequisite courses for the program. To find out more about admission requirements, visit the Admission requirement page for undergraduate studies and follow the admission steps according to your situation. The courses for the Baccalauréat spécialisé en sciences de la nutrition are taught in French; however, some of the course material may be in English and the work placements require advanced proficiency in French and English. Therefore, applicants to this program are required to demonstrate their level of proficiency in both languages. The Honours Bachelor of Food and Nutritional Sciences offers an option in Nutritional Sciences. This dietetic education program is an accredited program, recognized by the Partnership for Nutrition Education and Practice (PFPN), that prepares students for admission to a provincial dietetic regulatory body. Food and nutrition science is one of the 10 fastest growing areas of health, with an impressive growth rate of 21% projected by 2022 in North America. The Faculty of Health Sciences offers mentoring and academic success support services. The School of Nutritional Sciences offers lunchtime presentations related to nutrition and food science. The Association of Nutrition Students (ADÉNUT) is very dynamic and stimulates interaction between students of all years. The opportunity to learn about research fields through scholarships. The Faculty is located close to industry leaders, major government agencies and an extensive hospital network. We are the largest bilingual university in the world, at the crossroads of languages and cultures. The University of Ottawa ranks in the top 1% of the world's top universities and in the top 10 Canadian universities, with state-of-the-art learning and research facilities adapted to each discipline. The application process for this program starts in the fall of the year before you intend to begin your studies. We encourage you to submit your application in advance of the posted deadlines. There are also many Scholarships and bursaries available that you may need to start looking into as some have early deadlines. Please check the Deadlines page for programs in English and Dates limites page for the programs in French. Be sure to follow the admission steps according to your situation.